This clinic is for coaches/mentors and up to TWO (2) team members. 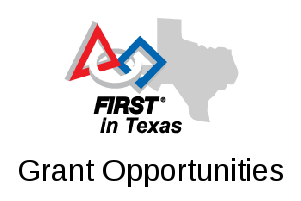 On September 23 from 9am-12pm the UT-Dallas Science and Engineering Education Center (UTD/SEEC) will be hosting a clinic on FLL chassis building and attachments. The clinic will start with an overview of the LEGO building pieces most commonly used for building FLL robots, and then present the design principles important to developing a good chassis and efficient Robot Game execution. The clinic will then demonstrate a wide variety of attachment types and mounting options. UTD’s Coaches Clinics are free of charge, but we ask that you pre-register for the event. so that we can communicate event details directly to you and have an estimate of attendance size. Attendance is limited to coaches, mentors, and up to two team members. Location: The clinic will be held starting at 9am in the Cecil Auditorium in Hoblitzelle Hall (HH 2.402) on the UT-Dallas campus – see attached map. The closest parking to the Cecil Auditorium is in Lot H and Parking Structure 4 (PS4). You can use this Parking Permit to park in any of the GOLD (yellow) or GREEN spaces in these two lots. The easiest way to get to these lots is to enter from Waterview Parkway on the west side of campus using either Frank Johnson or Franklyn Jenifer drives. For more information about the event, please contact Patrick Michaud at pmichaud@pobox.com .